Over the last ten years, countless leaders have told me that they have, or aspire to have, a “culture of honor” in their leadership team, church, or organization. Yet all too often, once I get to know them, observe their behavior, and see the results they’re producing, I find a gaping chasm between what they are telling me and their reality. This chasm is just like the one I see in many relationships. Spouses will tell me, “We love each other!” Yet the experience they are creating in their marriage falls far short of love. There’s little safety, trust, or intimacy in their connection. Issues are not confronted, messes are not cleaned up, freedom and responsibility are not required. Instead of generosity, humility, affection, and service, there is manipulation, self-protection, disrespect, and anxiety. Instead of bringing out the best in one another, they struggle to rise above their worst. Honor, like love, is an experience we create through specific practices. If leaders don’t cultivate these practices—first in their own lives, then on their teams, and then throughout their organizations—they cannot hope to foster a culture of honor. The rare leaders and leadership teams who I have watched successfully close the gap between saying they have a culture of honor and actually practicing one are some of the people I admire most. It’s not an easy task. But they show us it can be done, and that it’s worth it. The leadership team at Northgate Alaska Church in Wasilla, Alaska are some of these people. I’ve been connected with them for close to a decade. Like many of the teams I have the privilege of working with, these folks are dear brothers and sisters in the Lord, zealous for the kingdom of God, and committed to serving the body of Christ. Yet in the first five or so years of building relationship with this team and being invited into their leadership culture, it was obvious to me that they had some areas of dysfunction that were holding them back from establishing a true culture of honor. Most of this dysfunction stemmed from years of unresolved conflict. When a team isn’t able to successfully resolve issues and come out on the other side with stronger trust and connection, the opposite happens. Distance becomes the goal, and everyone starts living in self-protection mode. As a result, every task a leadership team is responsible for—from confronting problems to making decisions and executing strategies—becomes extremely difficult and full of anxiety. This only produces more conflict and drives the cycle of pain, fear, mistrust, and disconnection. Over time, the disconnection on Northgate’s senior leadership team caused division throughout the organization. They still had good theology, great worship, and testimonies of miracles, but more and more people left the church because their relational culture was unhealthy and unsafe. When dysfunction becomes normal on a team, it can be feel overwhelming and hopeless to try to move against the momentum of the relational culture. Typically, a crisis or a catalyst is required to wake people up to their unhealthy behavior and invite them to change. About four years ago, the Northgate team got both when they brought Carla Chud on staff, first as their finance manager, and then as executive pastor. It was Carla who, within months of taking over the finances, informed Dennis, the senior leader, that the church was on a fast-track to bankruptcy. When this news reached me, it didn’t take long to discern that her confrontation marked the point where the dominoes of change began to fall for this leadership team. Dennis asked me and several colleagues to serve as an apostolic oversight committee to help them resolve this crisis and reform the leadership team, recognizing that the only permanent way to save the church was to fix their leadership culture. In the restructuring, Dennis promoted Carla to executive pastor and empowered her to take the lead in helping the team establish the practices of honor that had been lacking for so long. Over the last four years, I have watched Northgate transform into a healthy, thriving organization. The leadership team has become connected and unified around their vision, mission, and core values, and has built momentum with decision-making and achieving goals. New leaders are being raised up. Their financial position is strong. More and more families have joined the church. Volunteers have flooded their ministries. People’s lives are being impacted by the love of God at a greater level because this church family is putting honor into action. I can’t wait to see what the next five years holds for them! While I give kudos to everyone on the Northgate leadership team for making this tremendous turnaround, I give credit to Carla for playing the catalyst role. 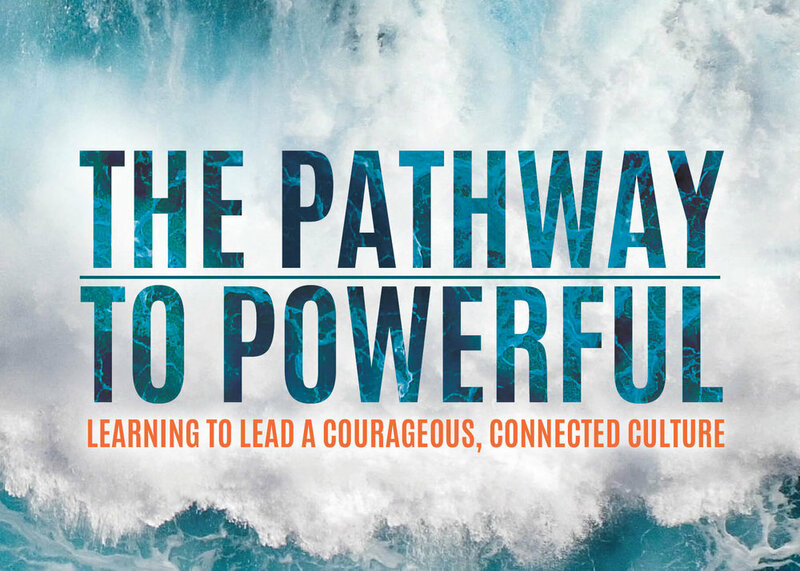 Reversing the cultural momentum from fear, self-protection, and disconnection to courage, trust, and connection is an epic assignment for any leader, but she courageously did what she had to do to fulfill it. This is why I asked Carla to write a book with me. In The Pathway to Powerful, we lay out the steps of her journey with the Northgate team, and the incredible wisdom they’ve gained through it. I strongly believe that this book contains courage and keys for breakthrough for so many people—especially for leaders and leadership teams. Preorder the book today and join us on this mission of establishing the practices of honor in our lives and organizations!